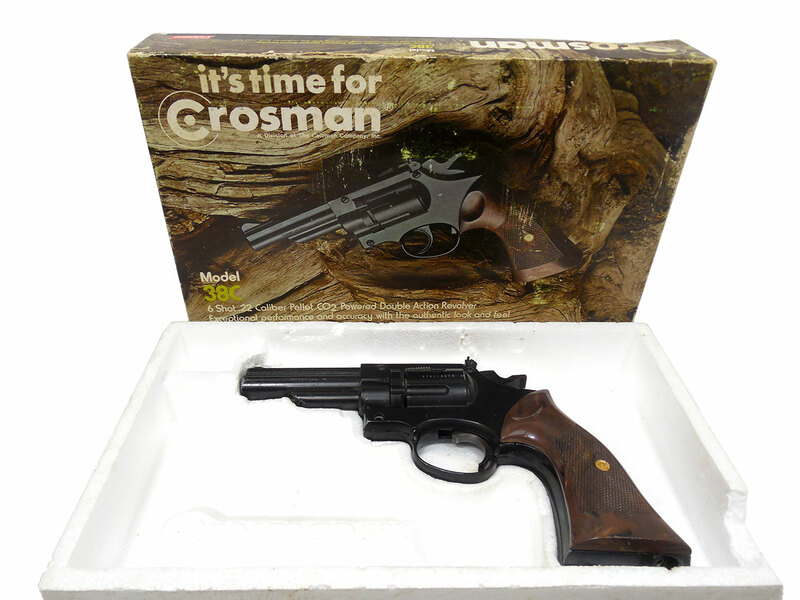 The Crosman 38C is a full size cast alloy metal replica of the .38 caliber Smith & Wesson revolver. This is a .177 cal variant of the gun, which was manufactured between 1976 and 1981. .177 caliber, C02, one powerlet, double action, six shot revolving cylinder, 3.5″ barrel. The metal retains about 90% of it’s original finish, and the grips are in good condition with no cracks or warping. The screw mechanism that holds the CO2 in place under the grip is missing. Hi There the box has .22 on it is the revolver same.Thanks. The gun itself (SKU 6110) is .177 caliber.